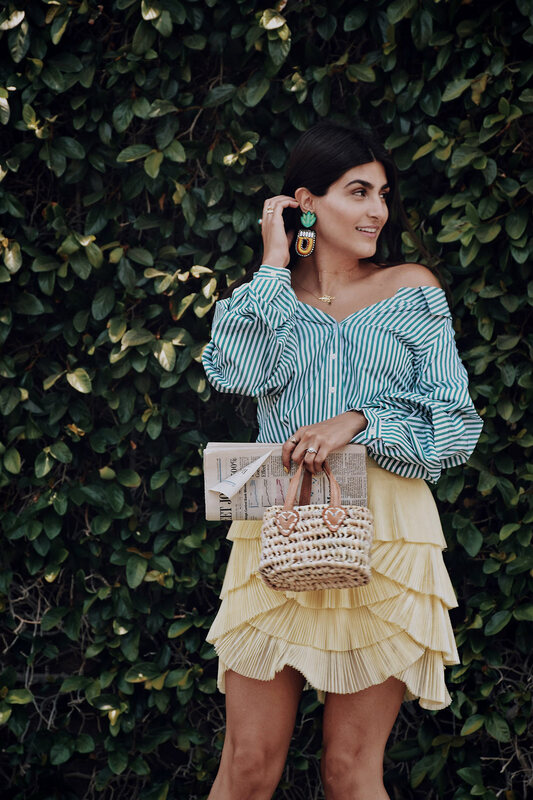 Nothing is better than wearing bright colors during summer. 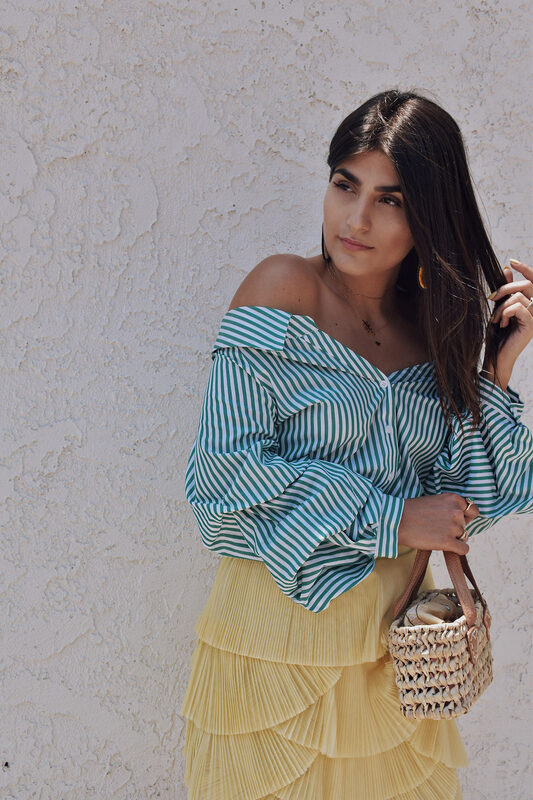 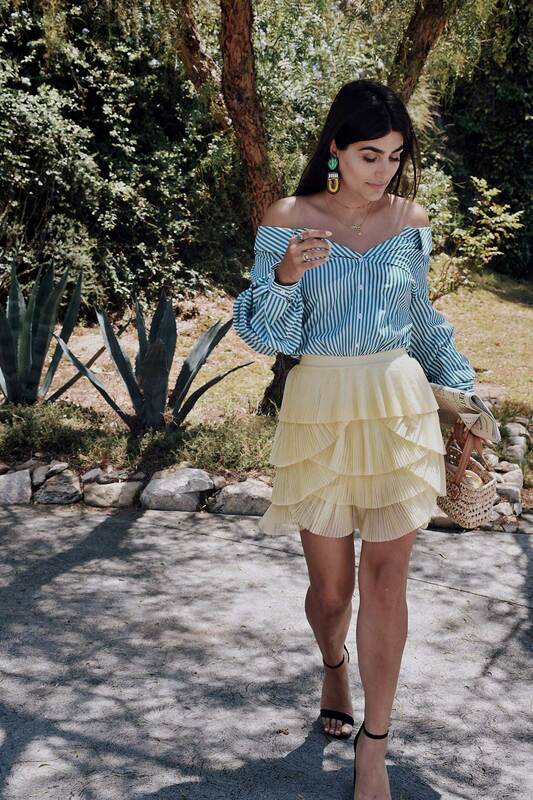 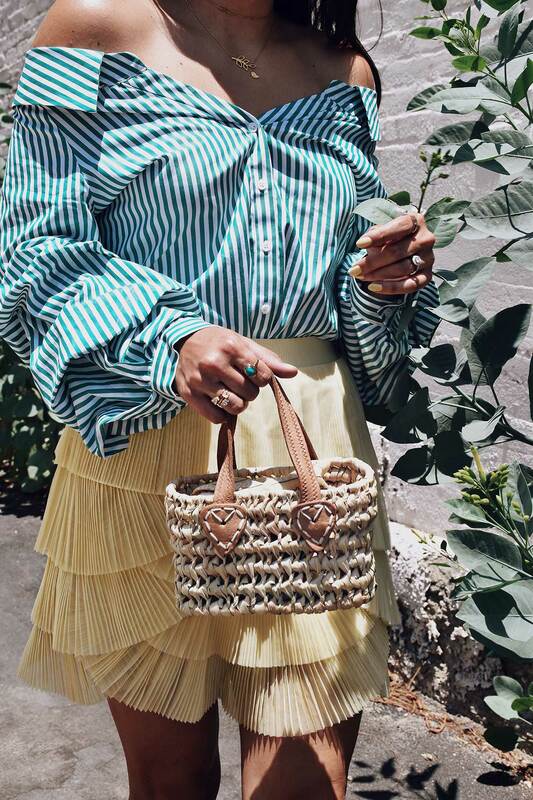 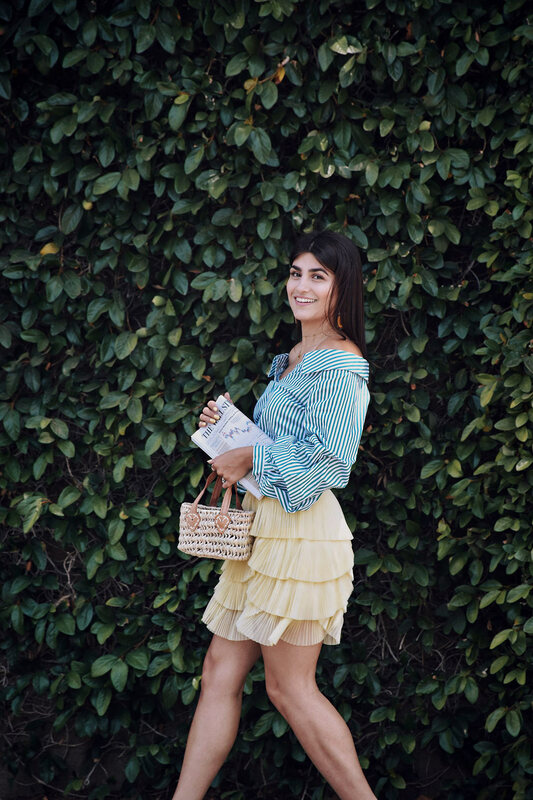 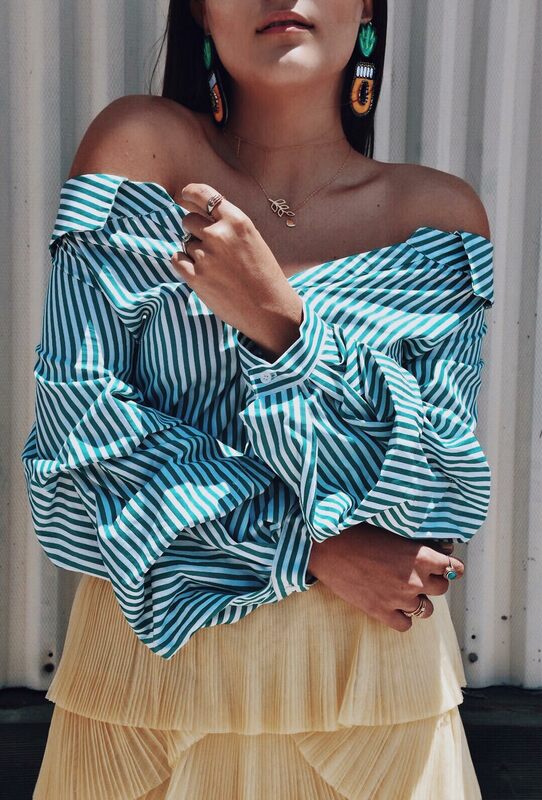 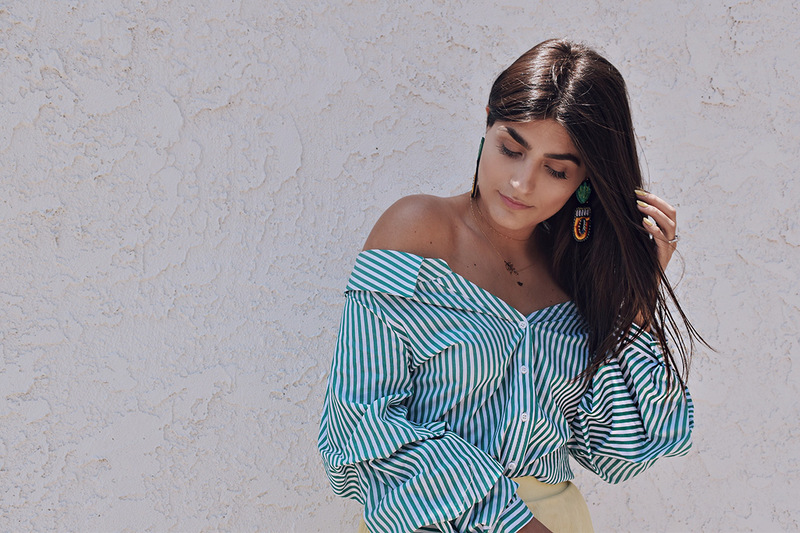 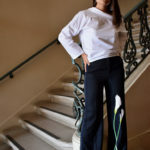 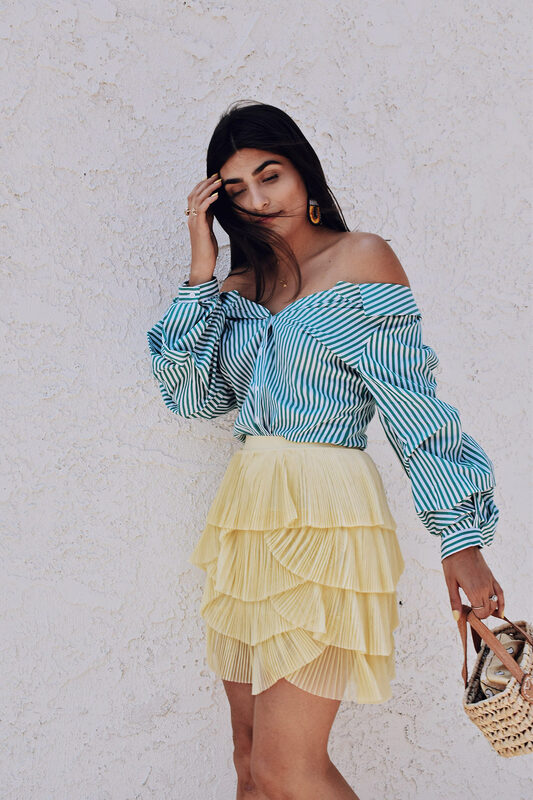 I found this cute pleated skirt from H&M (which is on sale right now so scroll down to the link) and I styled it with my favorite off the shoulder top. 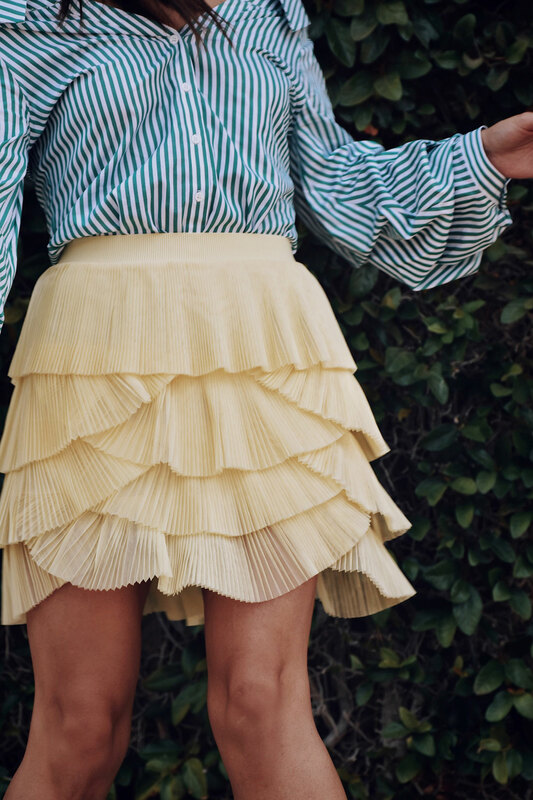 You can totally wear this skirt with a plain white tee and flat sandals for a comfy-casual look, but I chose to pair it with my black Steve Madden heels to make it more classy. 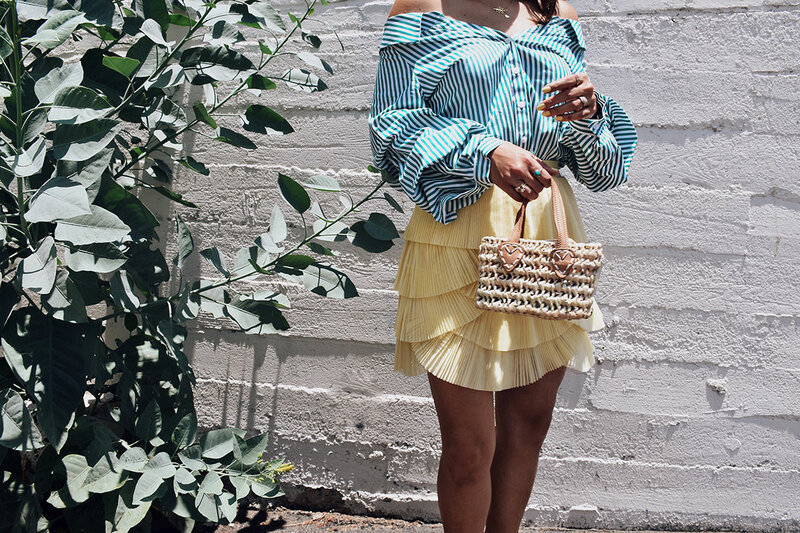 Hope you guys enjoy this look as much as I do & don’t forget to shop the sale by clicking on the links below!